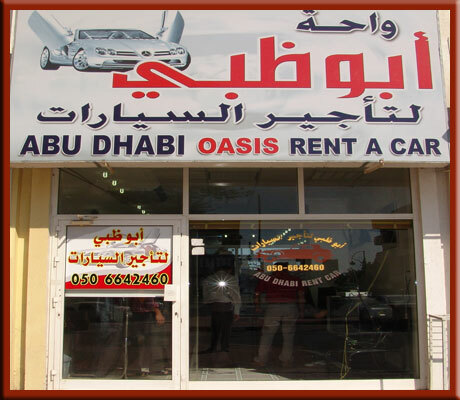 Home Al Ain Auto Dealers Rent a Car	 Abu Dhabi Oasis Rent A Car Est. Abu Dhabi Oasis Rent A Car Est. We Offer different kinds of cars that will suit your needs.